The military needs educated service members now more than ever. With technology at the forefront of military service and members stationed all over the world, cultural and linguistic acumen is required. In recognition of this fact, as well as the unique needs of military service members seeking to advance their education, the Department of Defense created DANTES. DANTES, which stands for Defense Activity for Non-Traditional Education Support, includes information and counseling for many different methods, such as online degree programs and testing out options. These options fit college and university degrees into the unpredictable schedule of active duty military members. The DANTES program is available online and at base education offices, and eligibility is determined by each individual service, including the Coast Guard. Since online degree programs can travel with you, DANTES maintains a large and comprehensive listing of online degree programs and universities. DANTES also updates listings and requirements for test options so that service members do not have to spend time focusing on information they already learned and demonstrated proficiency in through active duty experience. DANTES has counselors available to help military personnel find the right degree program and maximize the education benefits offered by the government. By far, DANTES is the most comprehensive resource for translating military courses into college credit. Service Member Opportunity Colleges (SOC) – Certain colleges and universities agree to provide opportunities, policies and services to help military students obtain their higher education goals. Tuition Assistance – There are many programs and scholarships available to military members and their families. DANTES keeps a comprehensive list to help narrow the search for financial help. Special College Paths – Programs like Troops to Teachers were developed to help service members transition from active duty to the civilian world. DANTES maintains a list of special programs for military members to search. Recently, DANTES started including information for military spouses with the Military Spouse Career Advancement Account Demonstration Project (CAA). The CAA is specifically interested in helping military spouses identify portable careers and degrees that can “travel” as military families move all over the world. 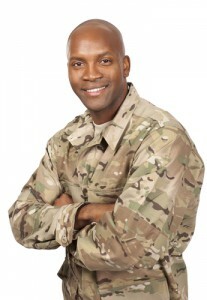 To this end, DANTES has information about degree programs and universities that can be completed within the unique parameters of the military lifestyle. For example, work can be completed when it is most convenient for you – like your child’s nap time. In addition, scholarship and funding opportunities are offered to military spouses. The Department of Defense wants military families to get the higher education they are entitled to through their service, and DANTES is an excellent resource to help you get on the right path toward your degree.